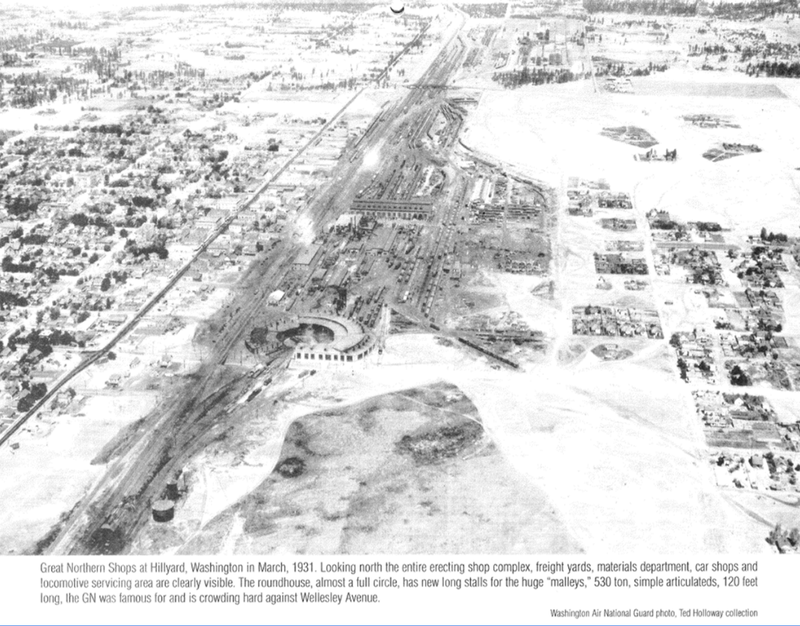 The future BNSF Railway Yard in March 1931. An interim cleanup at the BNSF Railway Black Tank site in Hillyard is up for public comment and then ready to move forward this year so the state can continue its work on the North-South Freeway through the area. The state Department of Ecology has updated its legal agreement with BNSF and Marathon Oil over the contamination, with plans to remove and replace soil up to 15 feet deep, across five contaminated areas that total 11,500 square feet. The cleanup is only part of a longer plan to address the heavy oil that contaminated the ground and groundwater at the site, which was a train refueling station. This portion of cleanup won't address the 7-acre plume of oil that's sitting on top of groundwater more than 100 feet underground, but Ecology says monitoring wells continue to indicate that oil is not mixing with the aquifer in a way that would contaminate drinking water. The plan is to start the soil removal after the public comment period ends July 3, in order to stay on schedule for the Washington State Department of Transportation's work there. If Ecology gets 10 or more people asking for one, they'll hold a public meeting on the cleanup plan. An earlier version of this story said that the total square footage of the cleanup area was 9,150 square feet. This information was corrected on June 11, 2018.